Bill Treasurer is founder and Chief Encouragement Officer of Giant Leap Consulting, a company the endeavors to build courage in people and organizations. High-profile clients include The Home Depot, SPANX, and NASA. 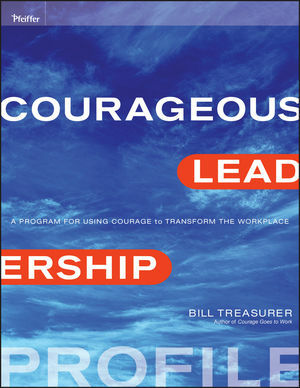 Bill is the author of two books on courage,?Right Risk and Courage Goes to Work, both with Berrett-Koehler. Bill is also a member of the Pfeiffer Partner Program and wrote an article for the Spring 2009 issue of Leader to Leader.